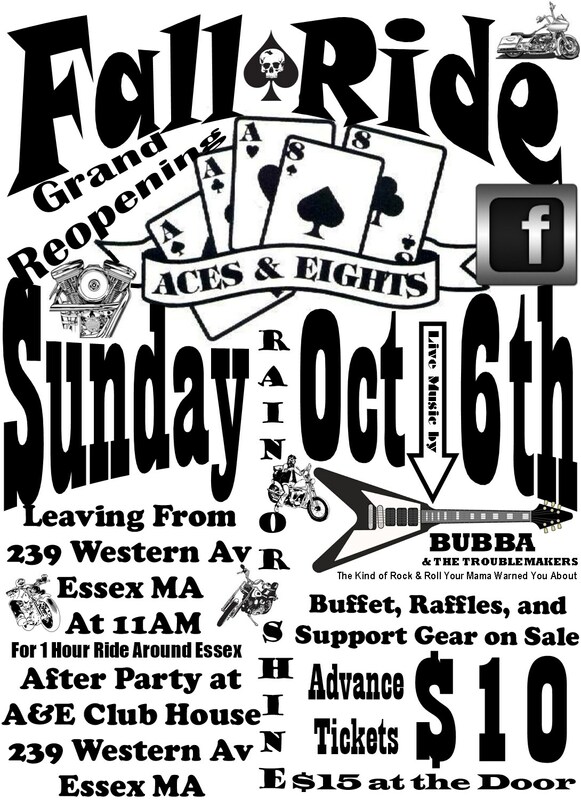 Join the Aces & Eights for their annual fall ride on Sunday, October 6th. The ride leaves from 239 Western Avenue (Essex, MA) at 11am. The afterparty will be at the A&E Clubhouse (also at 239 Western Avenue in Essex), and will feature a buffet, raffles, and Live Music from Bubba and the TroubleMakers! More details at the A&E Website and Facebook page.